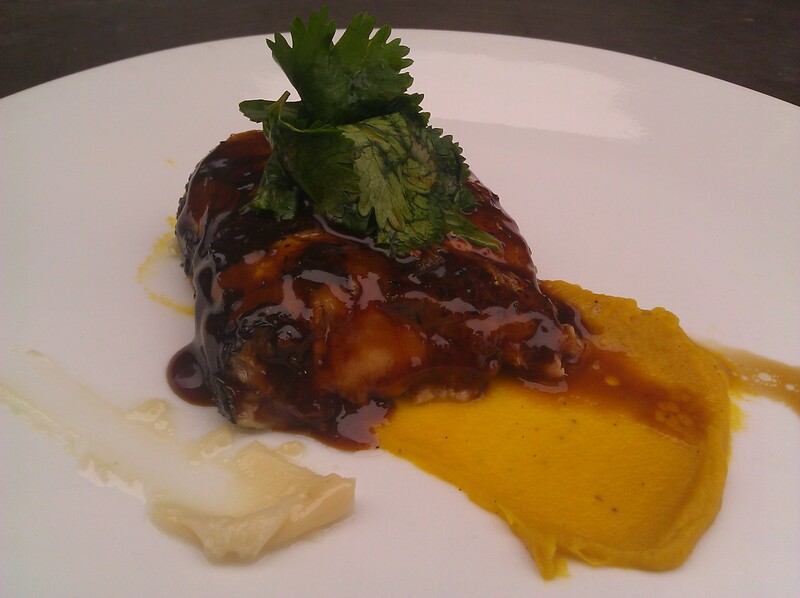 Soy Glazed Mackerel, Honey Roasted Root Vegetable Puree, Macadamia Extraction, Herb Salad. Our first main course dish. Good things are coming…..stay tuned.